A tourist on a beach in Jamaica managed to persuade a man with a guitar to sing a rendition of Birmingham City chant, Sh*t on the Villa. 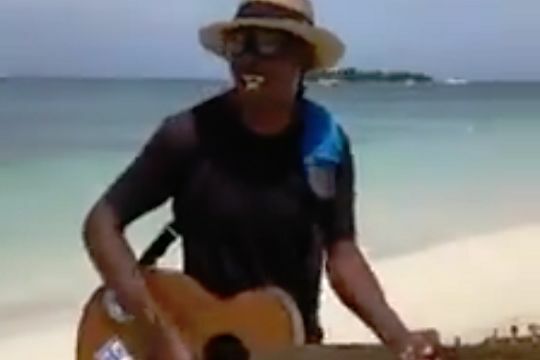 The Caribbean island’s coastline provides a beautiful setting for the singer, appropriately outfitted in beachwear with a straw hat and stickered instrument. The Jamaican beach version of the song has a sweeter melody than the English original. And the guy puts on quite a performance – despite asking for reassurance from the Birmingham fan halfway through.